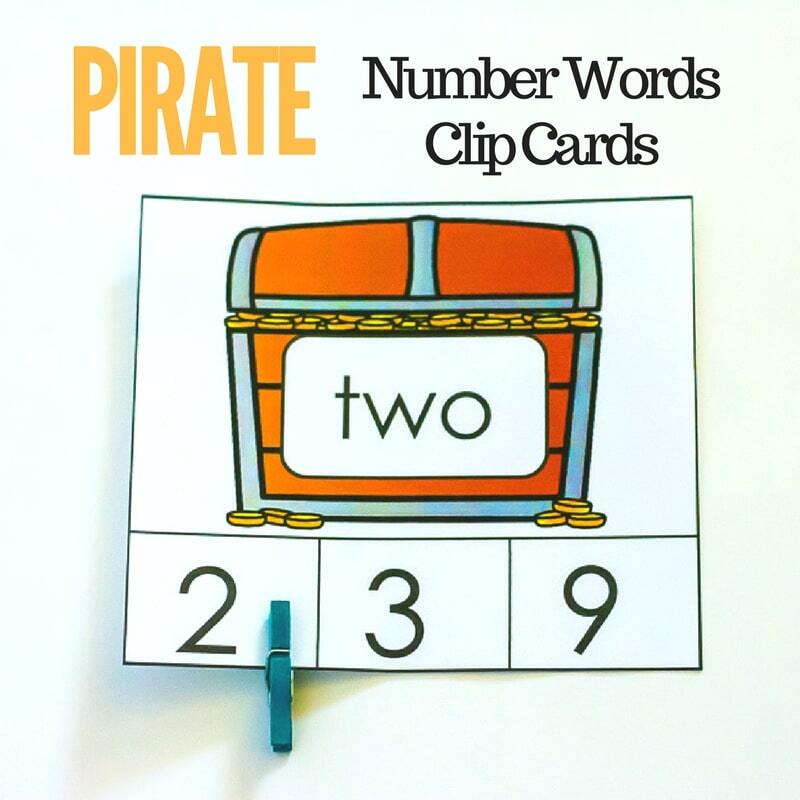 These Pirate Number Words Clip cards were the perfect activity to help my son with his math as well as his fine motor skills. Now that he seems quite confident with counting to ten and sometimes twenty, it only made sense to start exposing him to the words too. 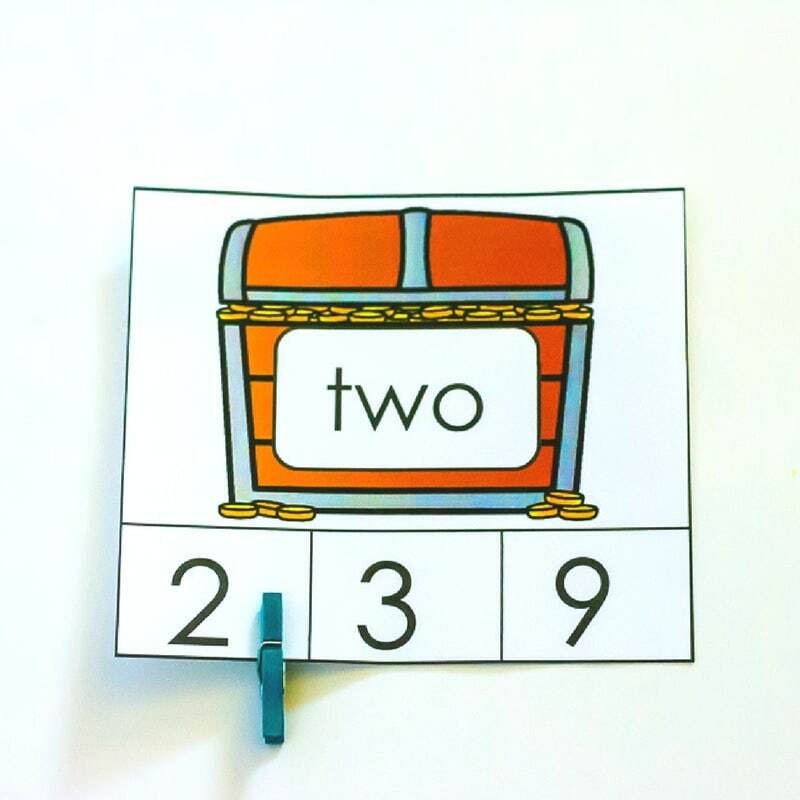 They are a great addition to a math center for Kindergarten or early 1st graders to work on identifying number words to 20, and on building up fine motor skills, too! * These pair perfectly with our Number Emergent Readers! If you have any pirate fans, they are sure to love these cards! The pirate beginning sounds clip cards we did before were such a hit that it made sense to continue with that theme and concept, just switching out the skill. To get ready, I first printed out the cards (below) on cardstock. If you intend to reuse these (and you will probably want to!) then simply laminate them. After I cut them apart, I placed them in a basket and grabbed a few clothespins for identifying the answer and for counting. Before we began using the cards, I wrote all the number words on sticky notes for him so that he was exposed to them. I introduced them in sets of 3’s so that I wouldn’t overwhelm him. Next, I grabbed another set of sticky notes and wrote the matching number words beside them. One thing I would suggest if this is your child’s first time with number words is to have a chart with both the numerals and their matching words for their reference. You can also make these cards self-correcting by placing a circle on the back of the correct answer with a pencil (before laminating) or a sticker. That way, after kids complete a card, they can turn it over to see if they were correct! 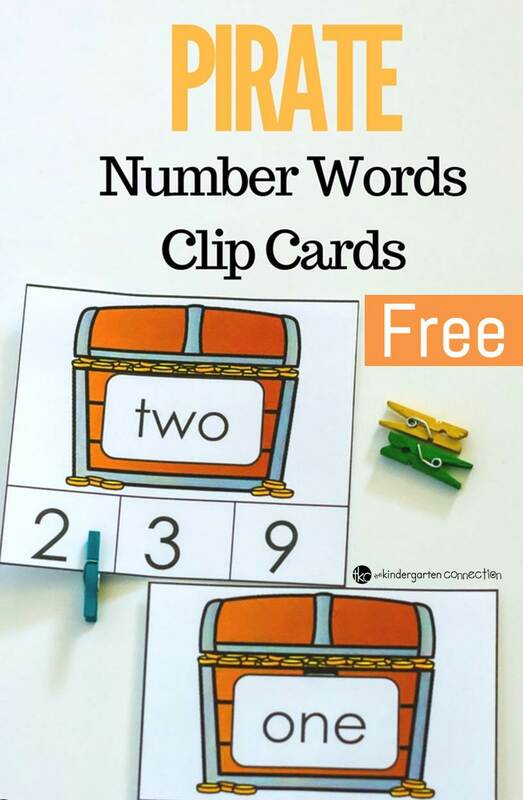 Ready to work on reading number words with your kids, too? Grab your copy of the pirate-themed clip cards by clicking the yellow button below. 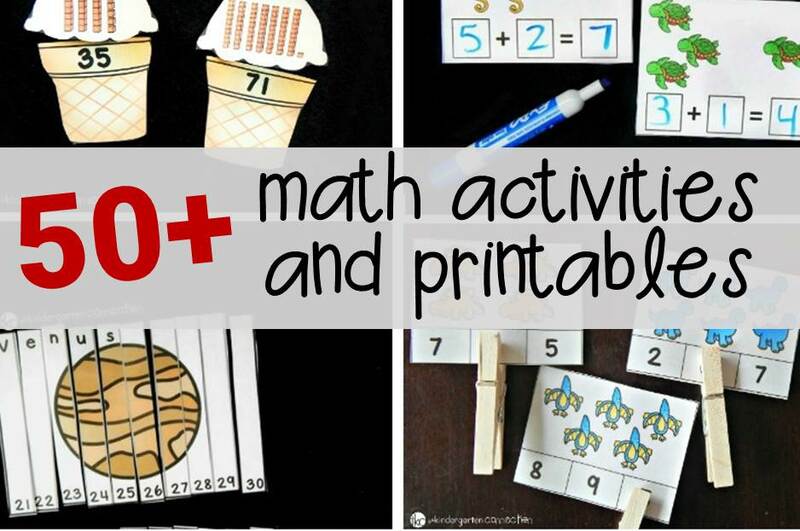 Then, for more math fun, hop over and check out more than 50 fun and free math printables!